The use of bipods by military, law enforcement and civilian shooters has grown exponentially over the last thirty years to the point that it is now rare to see any form of tactical rifle that isn’t so equipped. 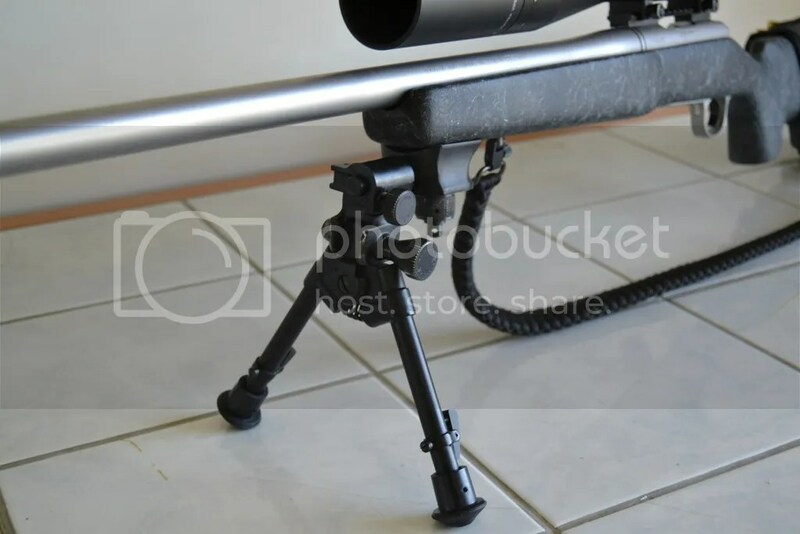 Indeed, bipods have become so popular that it isn’t unusual nowadays to see a hunting rifle wearing a lightweight bipod so that a user can take advantage of the, admittedly rare, opportunity to shoot the game of choice from the prone position. 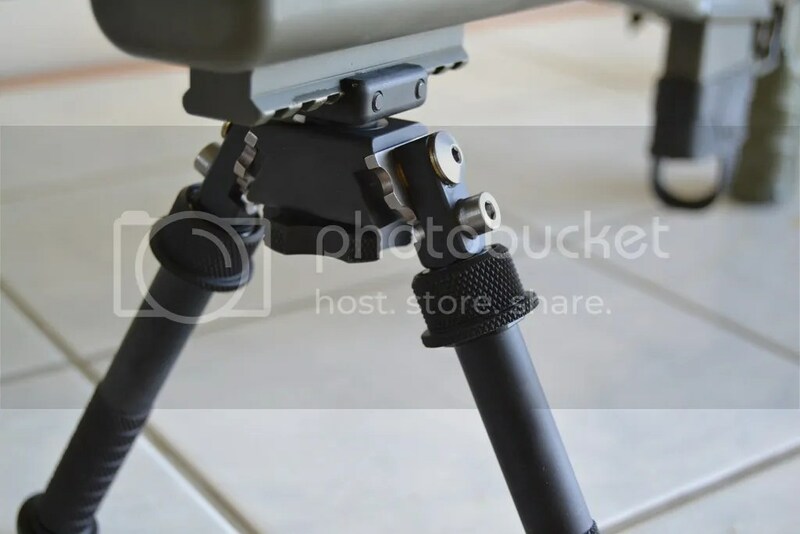 As with many pieces of equipment, a shooter’s intended application will often determine the type of bipod that her or she will use. In some cases, like F/TR for example, the rules of the game are such that weight may well be the most important of considerations but on a rifle used for a tactical shooting event for example, the speed at which a bipod can be deployed and a smaller size may be considered the most important features. Whatever the intended use, I’ve used and reviewed enough bipods to conclude that there isn’t one perfect solution and every bipod made is some form of compromise between weight, support, ease of use and – of course – price. 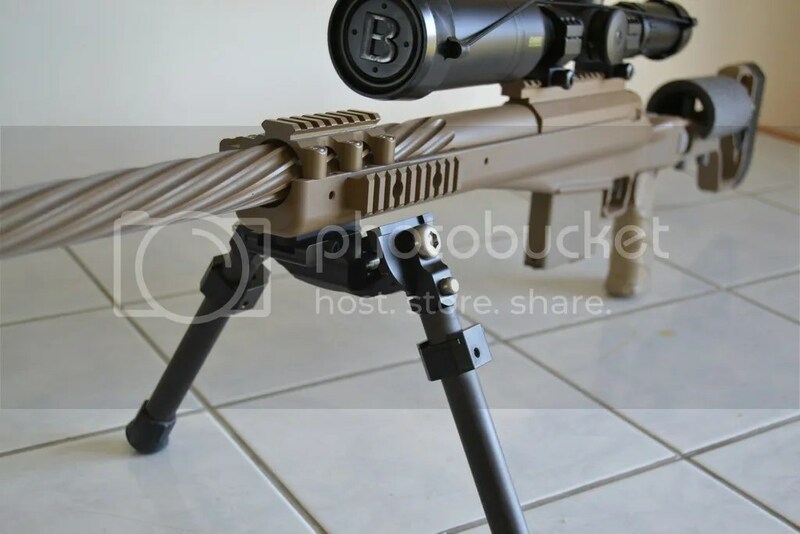 In this, the first of a two-part review – I take a look at bipods that I think more suited for the Tactical/Sniper rifle set up while in part two I will consider the bipods that I think work better when used on rifles shot in F-Class and other, similar, matches. 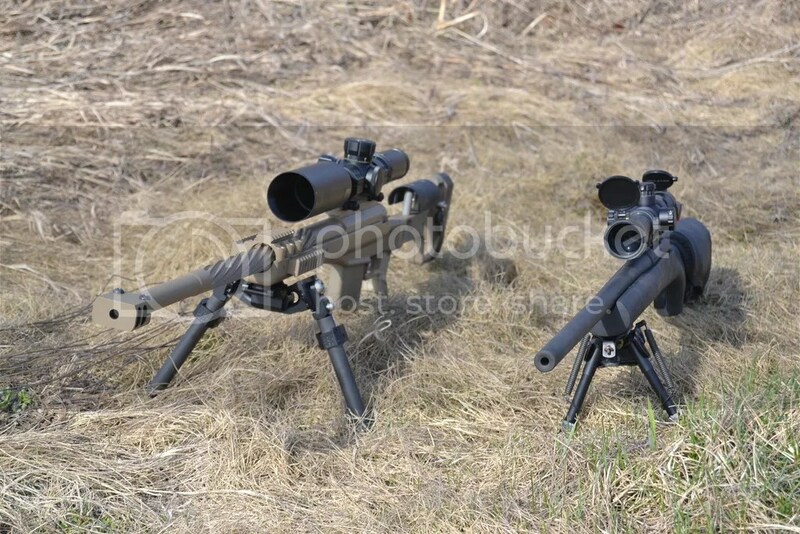 Naturally, there is some cross-over between the different types of shooting sports and so there is no hard and fast rule that says you cannot use one bipod for both a tactical match one weekend and a F-Class match a week later. Where I think that a bipod is ideal for such double duty I will make a mention of that adaptability as it certainly goes to the value for money aspect of a product. With that being said, let’s move on with the review – looking at each bipod in turn from the perspective of features, stability, size, ease of deployment and price….. 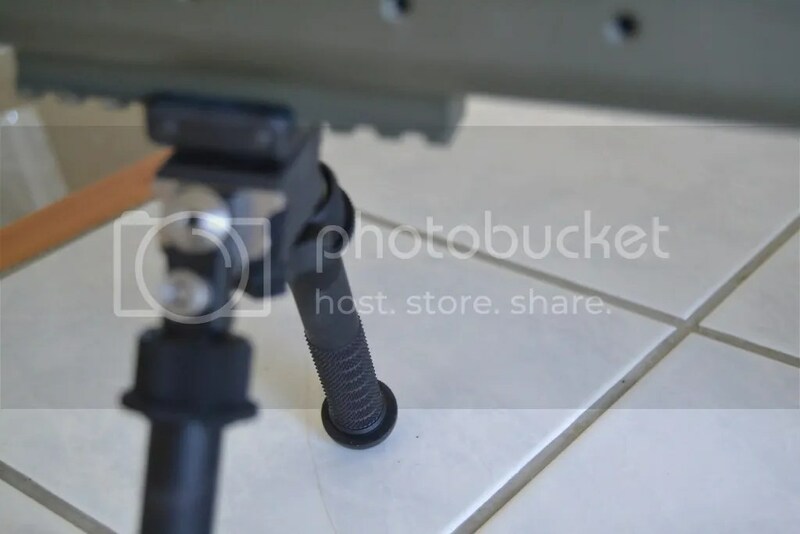 The Made in China NcStar and UTG bipods that either attach by way of a Picatinny rail or ( heaven forbid ) clamp onto a rifle barrel are inexpensive but they really should only be used on airsoft or, perhaps, by that particular type of shooter known as the Mall Ninja. 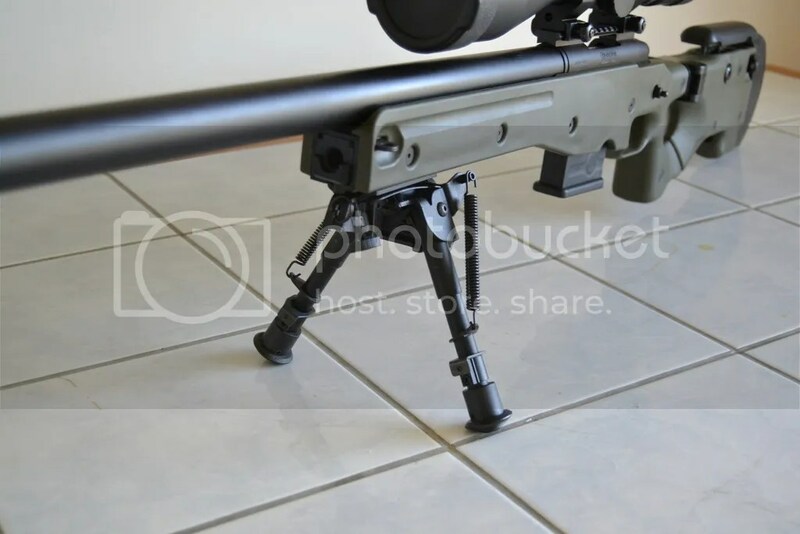 I’ve yet to see one of these bipods that has any place on a real rifle – even one used as a range toy – as the ones I have seen are poorly made and have too much wobble to be of any use in a real shooting application. I tried a few of these some years ago and while these seemed adequate for a .22lr, I thought them a bit flimsy for centrefire rifles. 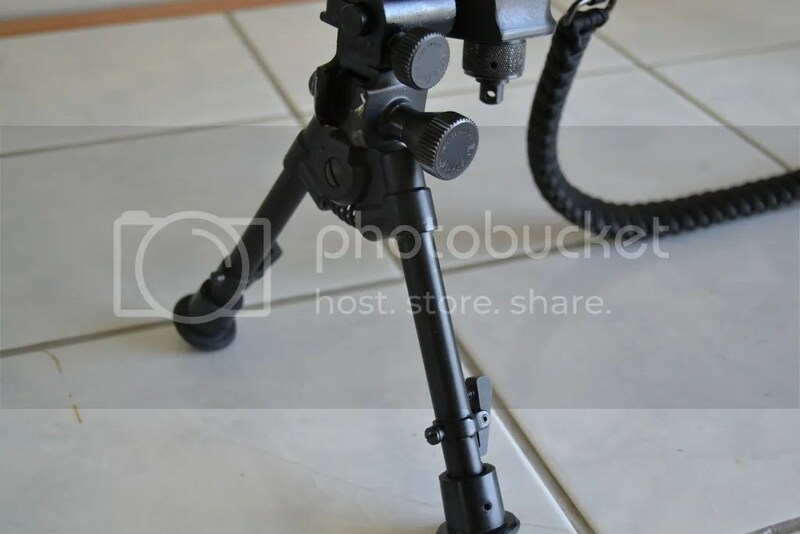 More recently however I’ve acquired some of these cheap bipods and thought they were better made. While they are not be as good as the genuine Harris, they are certainly inexpensive – under $20 on Ebay – and they have the swivel, notched legs and other features as found on the original. I’ve used a few of them on centrefires up to .308 and have had no issues with them. While I couldn’t recommend you use anything but an original piece of equipment on a rifle that you were taking into harms way, the price of these clones makes them an option to consider for a rifle that is just going to see use at a range. 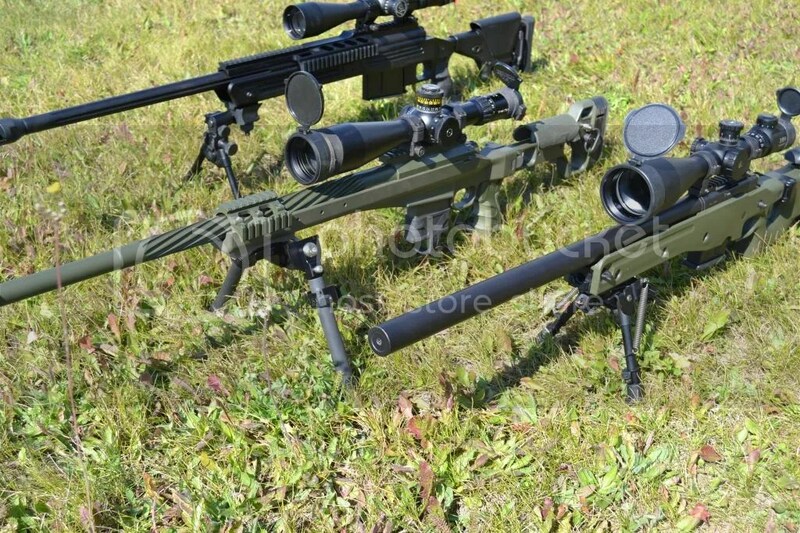 Based on the recent ones I’ve seen, I think these bipods are a better buy than the Harris-like ones marketed under the Shooters Choice brand and which retail for less than a real Harris but a lot more than these do. Harris make quite possibly the World’s best selling bipods and they are made in the USA. 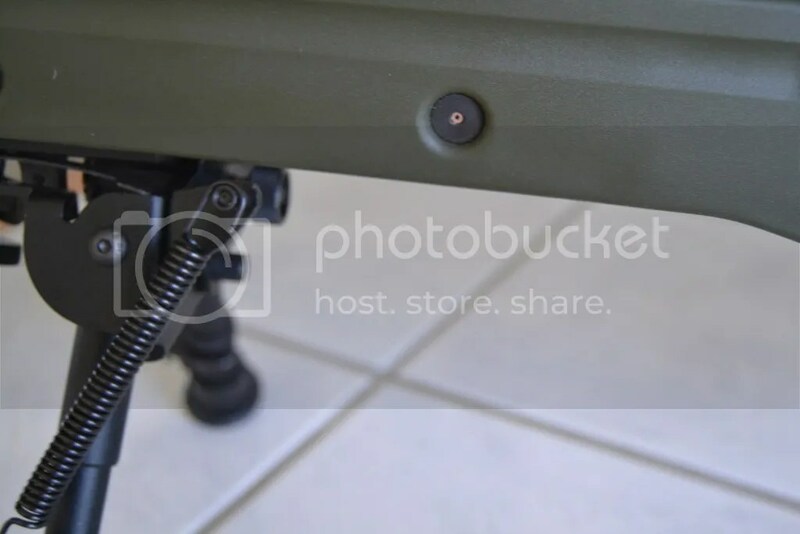 The model pictured is the 6-9 swivel model ( I strongly recommend getting the swivel version – it’s worth the extra money) and it has the ‘S lock’ installed which is a handle that replaces the tension adjusting knob and makes for far easier operation in the field. It is certainly worth the additional $25 or so that they sell for. The advantages of a Harris are that they are easy to install, deploy very fast ( i.e. you can get the legs in place very quick ), are light weight and – at least when compared to other brands – they are relatively inexpensive ($100 – $150 depending on model and where you shop ). Harris’ are also light weight and fold close to the stock which means you are less likely to snag the folded legs when moving through bush or similar terrain. Harris are also easy to adjust from behind the rifle – especially if you get the ones with the notched legs which are, in my view, better than the smooth or un-notched ones. There really isn’t much to dislike about a Harris, they are tried and true and they are found on the rifles of many shooters all over the World. Having said that, I do find them less stable than some other styles and they do have a tendency to bounce from shot to shot especially when deployed on a hard surface. Manufactured in the USA the Versapod reminds me of the old Parker Hale bipods and is a popular choice amongst tactical shooters. A teensy bit more difficult to install than the Harris, the Versapod is still really easy to attach to a rifle and offers some advantages over the Harris but the advantages come at a price. 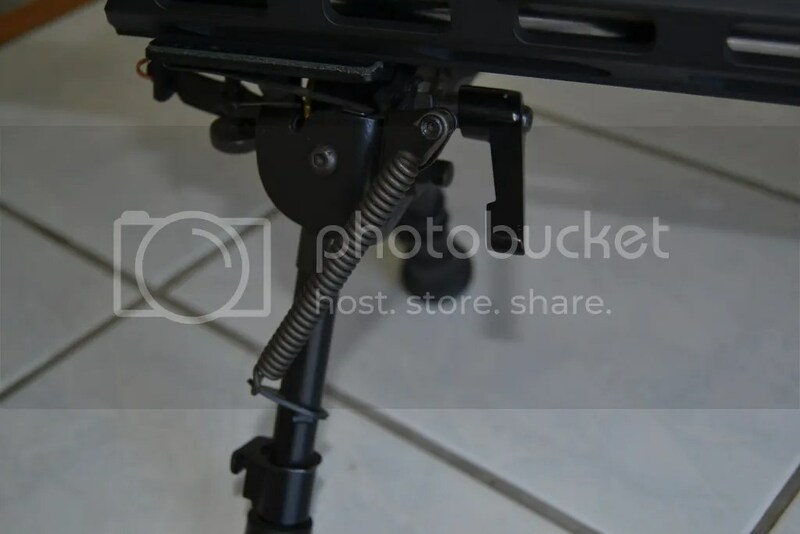 I purchased a VersaPod ‘Battle Pack’ and paid over $300 which is significantly more than the Harris but for the money you get the bipod, a nice Molle pouch and 3 sets of legs; the usual rubber feet as well as legs with skids on them and ones with claws or, as Versapod calls them, ‘Raptor’ feet which are really useful if shooting from a soft surface as they allow for you to dig the bipod into the ground for even more stability. The Versapod tilts and swivels and the legs are notched. When installed it feels very solid and it is easy to ‘load’ the bipod if that is your preference. Overall, I feel the Versapod is a more stable piece of gear than the Harris and – for those that consider this to be important – it certainly looks more aggressive or ‘tactical’ looking. Made in the USA the Atlas bipod claims to offer features that place it in a category of its own. 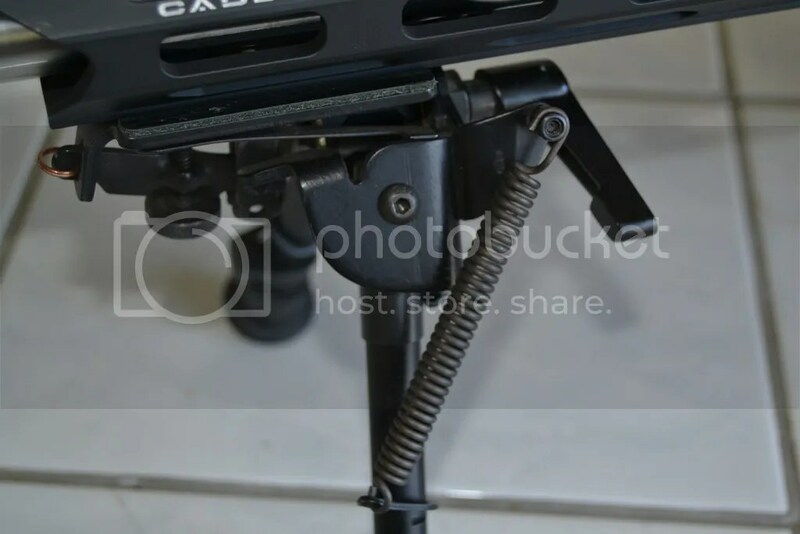 While that claim isn’t actually factually accurate the Atlas bipod does offer many really useful features which include ones not shared with the ubiquitous Harris or the Versapod we have already looked at. The Atlas features include legs that move independently and can be deployed in a 45 degree position either forwards or backwards, in the traditional 90 degree position, and facing directly to the front or back, locking securely into 5 positions through a 180 degree arc. It provides the shooter with 30 total degrees left to right Pan as well as 30 total degrees of cant which Atlas claim makes it easy to align your cross hairs on the target regardless of the terrain. The Atlas does appear to be well made and it has notched legs which allow for easy , in the field, adjustment. I find ( and others have also reported ) that the tensioning knob is difficult to keep tight as it loosens under use which is annoying. It does however provide solid support and the features it has are useful ones. Weighing in at just under 11 ounces the Atlas feels well made and durable. Costs range from about $220 – 250 depending where you shop. 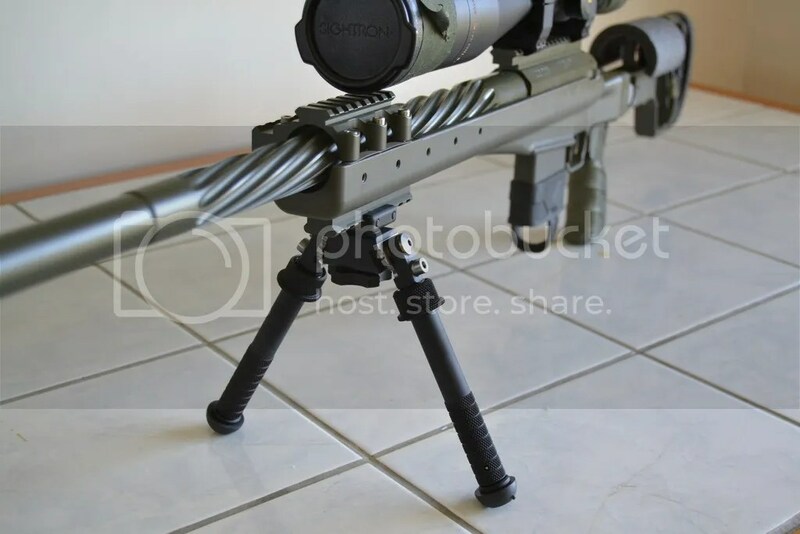 I consider it a better bipod than the Harris but the additional cost is off putting. 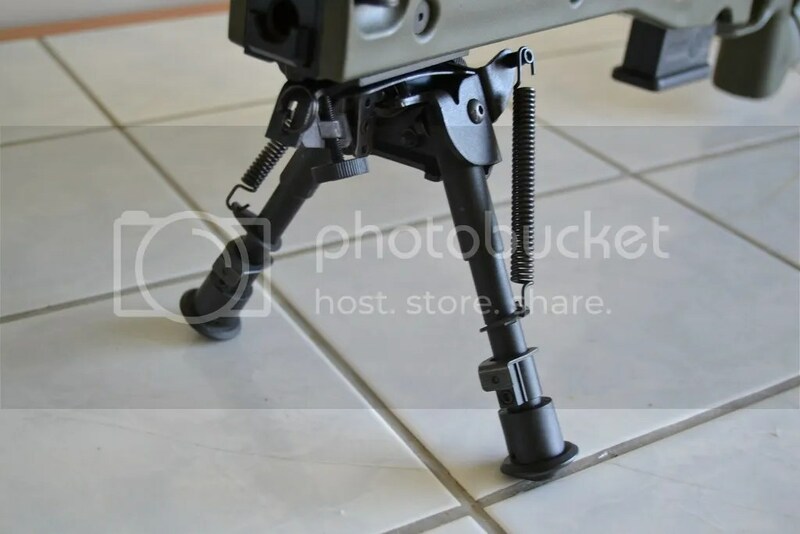 Without re-typing all that I wrote in the LRA review let me just say this: this is the best tactical bipod I have used, period. It is sufficiently sturdy as to make the Atlas look and feel like a toy. 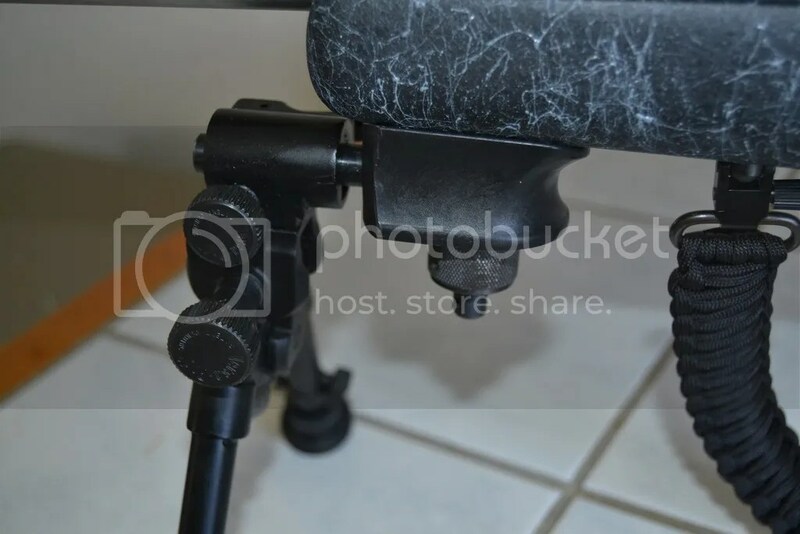 It has independently adjustable, notched, legs and can pan for tracking of targets. Like I said earlier, all bipods are a compromise and so the quality and stability offered by the LRA is offset somewhat by the two negatives of price and space. 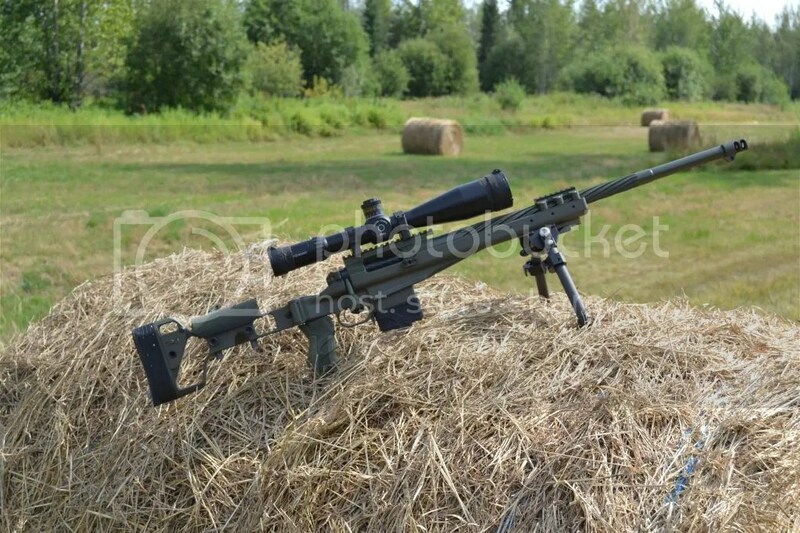 The price of the LRA in Canada is $450 which while currently a bargain given that it is $450 in the US is nevertheless a lot of money to pay for a bipod. If you are looking for a bipod that can perform double duty though then this would be the one so that makes it a bit of a better value. The other downside to the LRA is space – even when folded up it takes up a fair bit of real estate and so if your gun safes are like mine, it is probably best to remove the LRA before storing your rifle away. 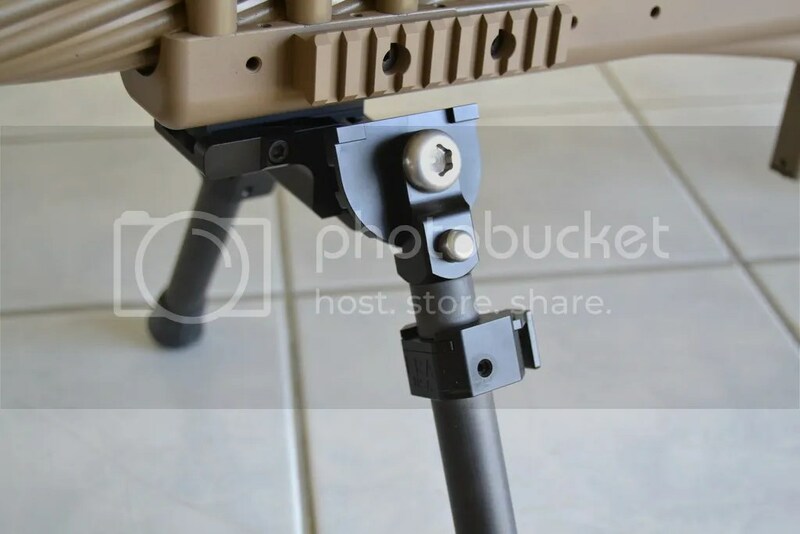 So that completes today’s tactical bipod roundup. Next week we will look at the bipods more suited for F-Class matches. I like your stuff. I have an online shooting magazine called Target Shooter. We cover all aspects of shooting except hunting. I did hope that it would eventually make money but it just about pays for itself but I have one or two shooters who submit articles. If you are interested in reaching a wider readership, we’d be happy to run your stuff – but unfortunately we can’t pay. Site address is http://www.targetshooter.co.uk and we have a facebook page http://www.facebook.com/targetshooter. 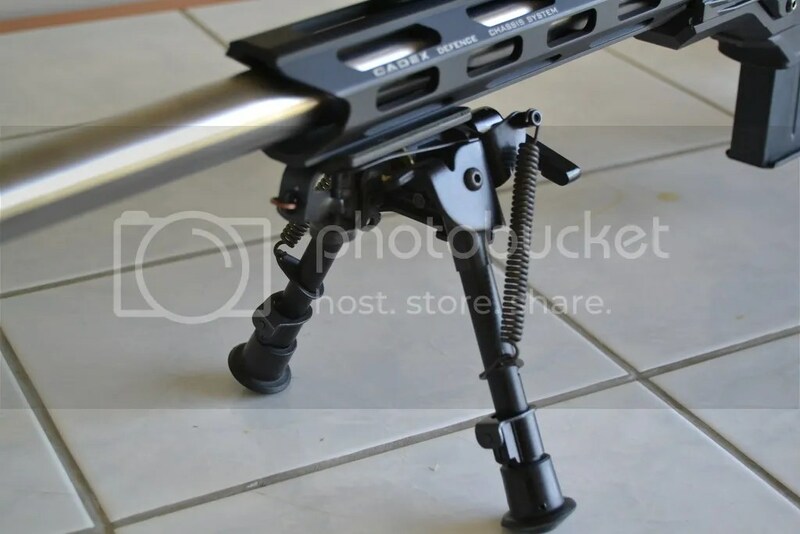 “This bipod was the subject of it’s own review” should be “This bipod was the subject of its own review”. It’s only means “it is”; posessive case uses no apostrophe. Thanks for pointing that out. Typo’s Gremlins and (sometimes) piss-poor English all need correcting.